Points to note: the upper eyelid overlaps the top of the iris; the bottom of the iris sits on the lower lid; the top lid is darker than the lower lid; the inside lid gets lost as it merges with the socket cavity next to the nose. Crimson is used here for the darks. 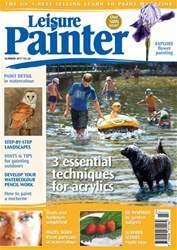 Welcome to the summer issue of Leisure Painter. We've packed this issue with a variety of painting tutorials and demonstrations for landscapes, portraits, birds, nocturnes, harbour scenes, flowers and gardens. If you love painting detail in watercolour, look no further than Paul Hopkinson's portrait of a barn owl and Jarnie Godwin's beginners' guide to botanical painting. If you want to simplify the detail, look out for Paul Alcock's painting project of a busy harbour scene and Hazel Soan's watercolour portraits. From tips on work outdoors to how to paint successfully from photographs, there's something for all busy amateur painters in this month's issue. 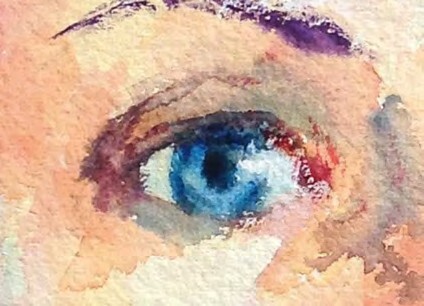 You'll find practical advice on how to use watercolour pencils and other drawing media, watercolour, acrylics and oils along with where to go and what to do throughout the summer. Enjoy your month of painting!